The Prophetic Lining-Up of Events! Have you noticed how fast this year has gone? “For at that time there will be Great Tribulation, unmatched from the beginning of the world until now, and never to be seen again. If those days had not been cut short, nobody would be saved. But, for the sake of the elect, those days will be shortened!” - Matthew 24:21-22. If God doesn't make the time shorter, NO one will be left alive and because of God's chosen ones, He will make the time shorter! We truly believe that these are the beginning of the Days of Acceleration! The definition of “acceleration”: “Hastening, stepping-up, quickening, and escalating at a fast pace.” In physics, acceleration is the rate of change of velocity of an object with respect to time. An object's acceleration is the net result of any and all forces acting on the object. For example; “a vehicle’s capacity to gain speed within a short time” i.e. a Formula One car’s superior acceleration during a race! Scripture confirms that there will be a “shortening of days” by the Words of Yeshua (Jesus) Himself. Whether He is speaking literally of time being shortened …remains to be seen of course. However, He states on two occasions (Mark 13:20; Matthew 24:22) referring to the shortening of the days and He states further in Matthew that those days will be “like the days of Noah!” Something very important to remember is that ALL Bible Prophecies are based on the Biblical calendar, not man’s! 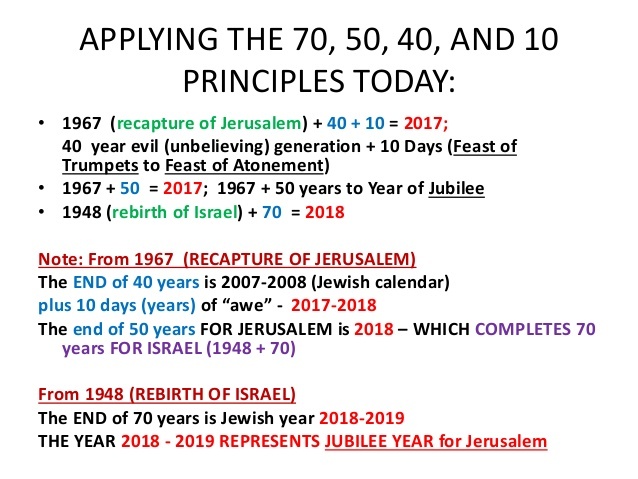 Therefore, specific times throughout God’s Word are consistent and the same in terms of where they would fall in the year and specifically on which day they would actually fall and so we see that the dates of the “Feasts of the Lord” never change! Meaning, we can determine how many months such and how such days will be! By seeing the almond branch, God assured Jeremiah that He is watching over His word to bring it to pass, no matter the passage of time. God had just given Israel a warning; “I have this day set you over the nations and over the kingdoms, to root out and to pull down, to destroy and to throw down, to build and to plant.” - Jeremiah 1:9-10. After Jeremiah saw the almond tree, God showed him “a boiling pot” over Jerusalem indicating a “foreshadow” or “harbinger” of coming “calamity.” (Jeremiah 1:13-14) While the almond is a “sign” of hope that God will eventually fulfil His wonderful promises to Israel (or to us), the context is more sinister. Later, God repeated the warning through Jeremiah: “Behold, I will watch (shaked) over them for evil and not for good…” - Jeremiah 44:27. God’s message to Israel was that sin has consequences and there will come a time of reckoning (the destruction of Jerusalem and the captivity of Israel). Years later, Daniel prayed; “Therefore has the Lord watched (shaked) upon the evil, and brought it upon us: for the Lord our God is righteous in all His works which He does: for we obeyed not His voice.” - Daniel 9:14. 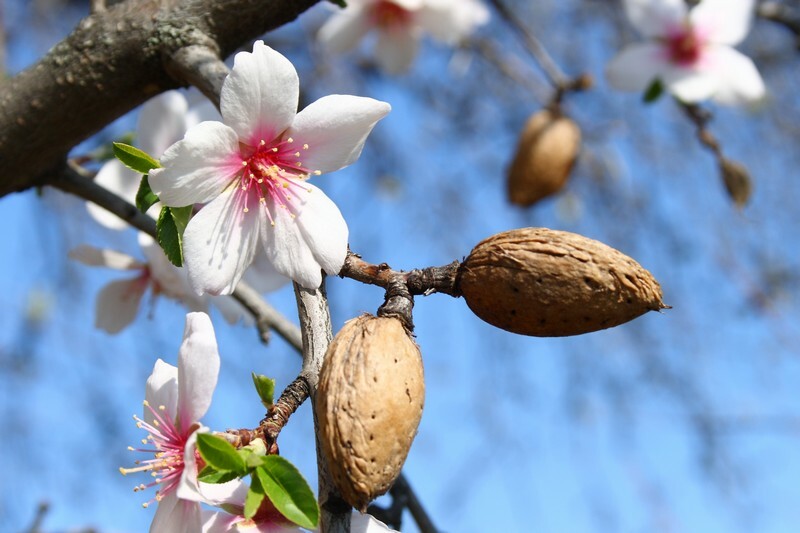 What do we learn from the almond tree? That God in heaven “watches” a sinful nation walking away from Him and declares it will have consequences. His message to humanity today is still the same - God is watching! He WILL watch over His Word - either for curse or for blessing! When sin and immorality engulf nations and even penetrate the Church, we should remember …God is watching! When nations condemn or attack Israel …and seek to divide her land, we can be sure - God is watching! Still, the message of the “almond” carries a strong encouragement. Jeremiah also foresaw a miraculous restoration for Israel; “And it shall come to pass, that as I have watched (shaked) over them, to destroy, and to afflict… so will I watch over them, to build, and to plant, says the Lord.” - Jeremiah 31:28. When we decide to consecrate our lives to God, then He promises to watch over us for good, just like with Israel …and even with our weaknesses and frailties, His eyes are always upon us! We too are called to “watch” over God’s Word in our lives. “Behold, the former things have come to pass, and new things I declare; before they spring forth I tell you of them!” – Isaiah 42:9. Yes, we are living in the beginning of “Days of Acceleration” … time to build and a time to “watch!” What took 10 years to do could take one year! We are living in a time when God’s purposes will swiftly move forward. But, there are always conditions that must be met and so we must align with God and His Word at all times! Daniel 12:4 - foretold of a time when “multitudes would travel to and fro!” Prior to the Industrial Revolution, few individuals travelled beyond their own communities. Until recently the only modes of transportation were by; horse, foot, and boat. Yet today we travel by car, bus, plane, train, subway, etc. Millions and millions are running to and fro just as Daniel prophesied 2500 years ago! And, Daniel also warned us that “knowledge would increase” and thus today we are witnessing an explosion of available knowledge and technology! With the birth of the Internet, it is estimated that our cumulative knowledge is doubling every five years. This exponential increase is beyond what anyone could have imagined! God’s Word is true! Here we see the describing the rise of a future evil dictatorship that will put Hitler and Stalin to shame. It speaks of two leaders that it describes as beasts; “Antichrist” and the other as the “False Prophet” and they will get their power from an entity – called the “Dragon” (Revelation 12:9). We read twice in the book of Revelation (Revelation: 12:9 and 20:2) that the “Dragon” is identified as “the Devil and Satan!” The question we see asked is... Who is like the beast? We see the answer as we read in Revelation 13; 5-7; “The beast was given a mouth to utter proud words and blasphemies and to exercise its authority for forty-two months. It opened its mouth to blaspheme God, and to slander His Name and His dwelling place and those who live in heaven. It was given power to wage war against God’s holy people and to conquer them. And it was given authority over EVERY tribe, people, language and nation!” Here we see that it was given power to “make war with the Saints (God’s Holy people) and to overcome them, and authority over every tribe, people, language and nation! Did you get that? This is the government that Russian Communist and head of Socialist Union (1917-1924) Lenin once dreamed of! It rules the whole world and ALL people! It is an anti-God, anti-Bible, anti-Christian and anti-Jew government! Yes, it despises faith and kills the followers of Christ …and declares WAR against GOD Himself! This evil power grows when “the first beast” – Antichrist is introduced to the “False Prophet” (Revelation 13:12-18). There will come a time soon when the world has turned its back on God and become pagan and would not be a surprise to see man worship “the image” – man! Godliness is being removed, bit-by-bit and complacency has set in. There’s a children story from Aesop’s Fables we can relate deception to; “’The Wolf in Sheep’s Clothing: There was once a wolf who kept trying to steal from “a flock.” However, the ‘Shepherd” and sheepdogs were “watchful” and always chased him away …but the wolf did not give up and hung around, waiting for a chance! His chance came one day when he found a sheepskin that had been cast aside. He put it over his coat and tied it around him so he was quite disguised. Then he strolled among the “sheep” - none of them noticed anything strange! 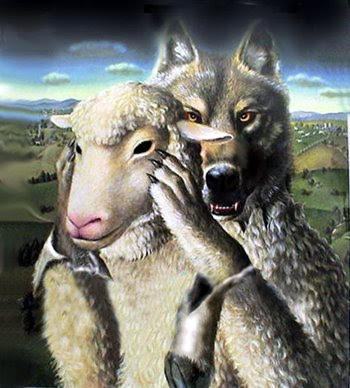 In fact, the “lamb” of the sheep whose skin the wolf was wearing began to follow the wolf, leading the lamb away from the flock – and, the wolf made a meal out of her! And, for some time afterwards, he succeeded in deceiving the sheep – the shepherd and the sheepdogs and enjoyed hearty meals!” You see this may only be a fable …but did you see the pattern in this story? As children of God, we too CAN be fooled if we don’t stay close to God and His Word and keep “watch!” “Be sober-minded and alert! Your adversary the devil is walking around like a roaring lion, seeking someone to devour...” – 1 Peter 5:8. Today, we see “the fruits” of a slow process of “complacency” and it has especially escalated over the past decade alone and because of accepting the lies of the devil …that “fruit” ripened! Not a day goes by without something new happening across the world. The West is unprepared and are gradually being “brainwashed” on a daily basis through; Liberal Media lies on television, Hollywood celebrities and their immoral godless movies which has even infiltrated into children’s programs. Yes, the News Media is corrupt, so too is Hollywood and its elites with lies and immorality – this is a fact! Why should we be concerned? If we the Church become like the lukewarm world - it would be difficult to recognize TRUTH! The mere fact that we have allowed this generation to become more pagan - one day soon, when the Antichrist and the False Prophet is finally revealed …the people will be “RIPE” for the worship of Antichrist and take “the Mark of the Beast!” (Revelation 13:16-17) Everyone, rich or poor, famous or unknown, every religion, NOBODY will be exempt and will be required to take a “mark on the right hand or forehead!” This is the “mark of the beast” and no one can buy or sell without taking this mark! 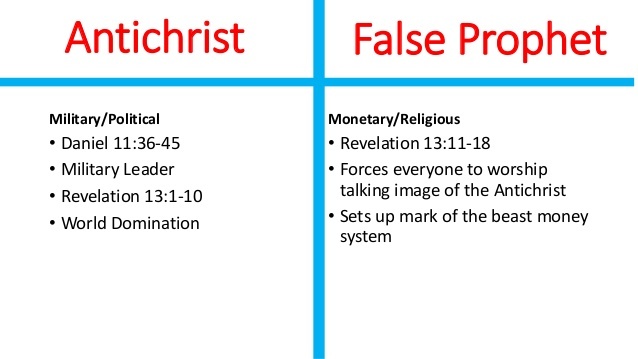 Notice the extent of the “false prophet’s” power …either to take the “mark of the beast” or starve! Satan’s attack on “Marriage” and “Family”… Marriage was instituted by God when He created man; male and female - Adam and Eve. Yeshua (Jesus) quoted from Genesis when He taught the meaning of marriage based on the history in Genesis (see Matthew 19:4-6). When God made the first marriage with a male and a female He told them to; “…be fruitful and multiply and fill the earth.” You see if it does NOT bear “fruit” - then it cannot “multiply!” It needs the unique “seed” produced by a male and a female and only together can these seeds produce and “multiply” after its kind! The world has become rebellious and so God has given them over to their own lusts (Romans 1:26-32). “These Days of Noah” will be a “sign” to this “Age” and a reminder that God’s Word is true; that mankind is sinful; that God is Holy and judges sin! But, there is good news too! We have a merciful, loving God and has not only provided “the way of Salvation” but paid for it Himself and offers it free to ALL who will receive Him (Romans 10:9). God loves us and does NOT want anyone to die without Eternal Life. Throughout the millennia, “rainbows” have appeared in the clouds and they are meant to be a “token,” or “a sign” for all mankind. The rainbow is given to us as a reminder of God’s beautiful creation. In addition, the multi-colours of the rainbow can remind us of the “splendour of Heaven,” and the “glorious radiant colours around the throne” (as described by the apostle John in Revelation 4-5). When we look upward towards heavens the “rainbow” should actually remind us are four specific things: (1) God judged the wickedness of man at the time of Noah and judgement for sin will come in our time too. (2) God had Noah build an “Ark of Salvation” and it had one door. Noah and his family went through this door into the Ark to be saved. Just like Yeshua (Jesus) said; “I am the door. If anyone enters by Me, he will be saved” – John 10:9. Noah’s Ark is a picture of Yeshua and of salvation. 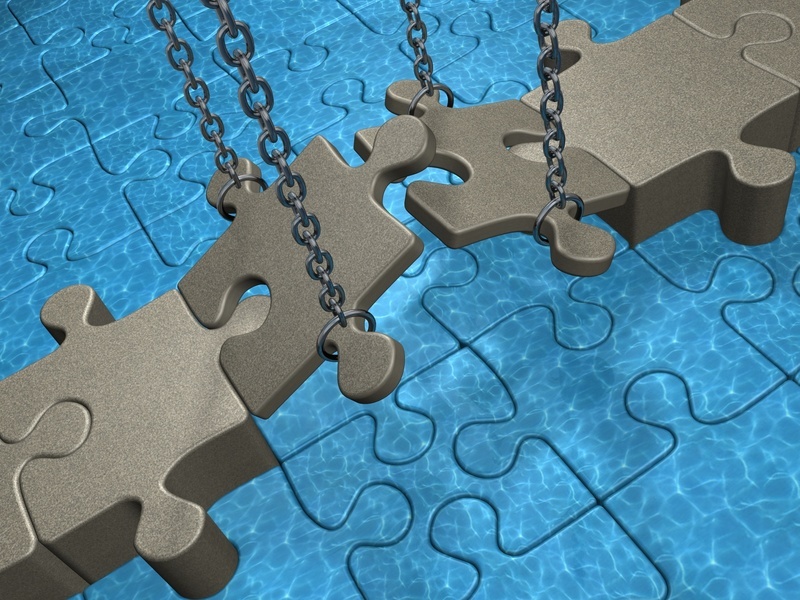 In judgment, God provides “salvation as a gift” for those who will receive it. (3) There will NEVER be another global Flood as a judgment like in Genesis 6. God promised us this and gave us a “sign” of a “rainbow,” so every time we see it in the sky after rain - we are reminded of His Promise and Covenant. 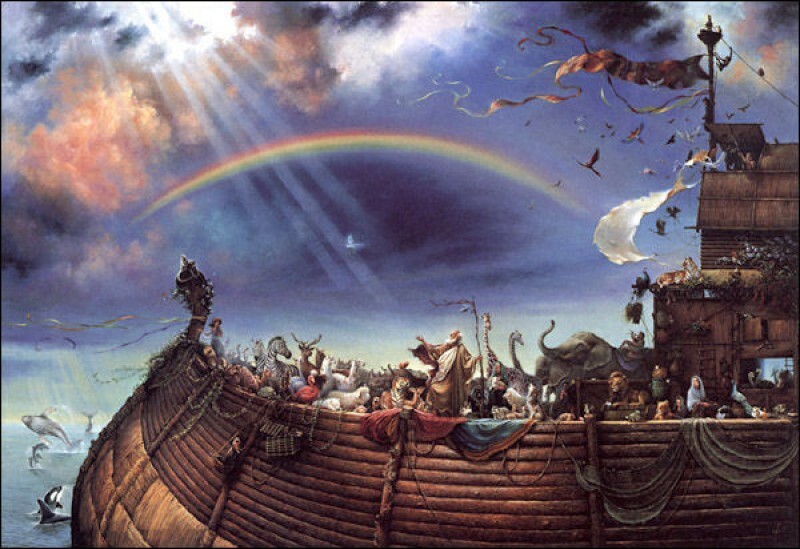 God also spoke to Noah and said that He would look on the rainbow to remember Him of His covenant (Genesis 9:8-17). We must understand that this does NOT mean that God would ever forget His promise as He is omniscient (all-knowing), therefore, His remembrance is different than that of man. God cannot forget His promises! Sadly, man all too often forgets and so many have forgotten the “true” meaning of a “rainbow” in the sky. But, there is another judgment coming, when God will judge with “fire” and make a New Heavens and Earth. (4) God has provided an “Ark of Salvation” for those who will receive it so we can spend eternity with our Creator. Just as there was one door on the Ark, there is only one door by which we can go to heaven (John 14:6). Even though homosexuality may try to use the colours of their flag as a symbol of God’s “rainbow” …it is simply a multi-coloured flag of rebellious man with 6 colours! God’s rainbow always has 7 colours, and it always will! Why? Because, God put the colours in the rainbow; red, orange, yellow, green, blue, indigo and violet (notice the hot pink for “sexual connotation” in the LGBTQ flag …whereas indigo representing “harmony/peace” is included in God’s rainbow). It’s also interesting to note that 7 is God’s number of completion and perfection, and the number 6 is the number of man! Yes, the “rainbow” belongs to God alone and it is He who invented the rainbow and made a Covenant with us and so every time we see it let’s be reminded of its true message and to worship Him. Do “Flags” relay a message…? We believe so! There are other multi-coloured flags that we also need to consider especially the Muslim nations who persecute Israel! Let’s look at the colours; red, black, white, and green which are used in a number of country’s flags. What significance might these colours have? There is a Biblical significance in these 4 colours! We read in Revelation 6, of the Apostle John watching as Yeshua (Jesus) opens a scroll and the 7 “seal judgements.” The first 4 judgements are represented by 4 men riding on 4 horses (The 4 Horsemen of the Apocalypse). Each horse is a different colour and is; white, red, black and pale green (a sickly shade of green) and represent: White Horse: Conquering and to Conquer. Red Horse: Power to take peace from the Earth/Kill one another/great sword. Black Horse: Famine. Green/Pale Horse: Power over 1/4 part of the Earth, to kill with famine, sword, death, and the beasts of the field. So what do the countries whose flags bear those colours have in common? They are part of the Nations of Islam. Many Islamic countries use the Pan-Arab colours, first introduced in 1916 with the Flag of the Arab Revolt. 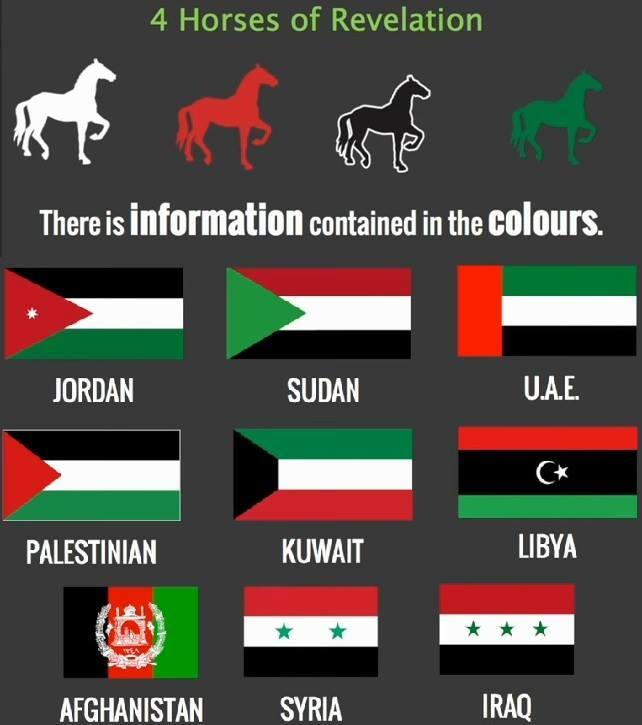 The colours were explained by Islamic symbolism by Mahdi Abdul Hadi in Evolution of the Arab Flag (1986) to mean as follows: Black represents the banner or black-standard of Muhammad and the Rashidun Caliphate; white, the flag of the Umayyad Caliphate; green, the flag of the Fatimid Caliphate; and red, the flag of the Khawarij. Current flags with these colours include the countries of Iraq, Syria, Yemen, Egypt, Kuwait, UAE, Afghanistan, Jordan, Palestinian (PLO) in Westbank/Gaza, Algeria, and Sudan, and former flags of Turkey, Iraq and Libya. So is a flag just a flag? Or, is what the flag represents significant? We believe a flag does have significance, because it is a “token,” or a “sign,” of what it represents; nations or people groups by their emblems and their colours. Just take a look at the black flag of ISIS it has written on it the “seal of Muhammad” and Al-Qaeda, Al-Shabaab, Daesh, ISIL and all these terrorist groups use this flag as banner for jihad! Did you know that Russia has NEVER attacked Israel, never been at war with Israel and never directly threatened Israel. Just coincidentally NONE of Russia’s flags were ever red, black, green and white either? If Gog (Ezekiel 38:3-6) is the chief prince of Meshech and Tubal, then the areas where the descendants of Noah settled, Meshech was in the area we now call Turkey (Genesis 10:3). While Magog was a grandson of Noah, and his line went up into the area now part of Russia, between the Caspian Sea and the Black Sea. If we look at who settled these regions in the generations immediately after the flood, we will know which areas will be involved in the Gog/Magog War. Russia is only 14% Muslim, however, a large majority of those that are Muslim, are in that same area between the Caspian Sea and the Black Sea, which is the North Caucasus region of the Russian Federation. The most significant flag as Christians… we are a people group with citizenship in a far-away land in fact “out-of-this-world!” We are citizens of Heaven (Philippians 3:20) and just as countries have a flag that represents their land and their people, we also have a flag! Our flag is a banner of victory in our God, our Jehovah Nissi. Jehovah Nissi is a precious Name of God, given to Moses in a time of need. Jehovah is God’s Covenant name and “Nissi” means banner! Jehovah Nissi means; “the Lord is our Banner.” And truly, the Lord is our Banner, our “flag,” that waves over us as a proclamation of our victory in Him. Jehovah Nissi is an Eternal Banner of perfect colour and perfect promise! The Nation of Israel would be born in one day (Isaiah 66:8) On May 14, 1948 Israel became a nation – 70 years ago (1948-2018). The Jews would begin to re-gather in Israel (Isaiah 11:11-12; Ezekiel 37:21-22; 38:8; Luke 21:29-31). Over 6,589 million Jews have returned to Israel in recent times and this is unprecedented in human history! Never has a people group been dispersed for hundreds of years to every corner of the globe, and then regathered back to their homeland. Yet, God said it and He has done it before our very eyes! Israel would become a wasteland (Deuteronomy 29:23-28; Ezekiel 36:8-11, 33-36). 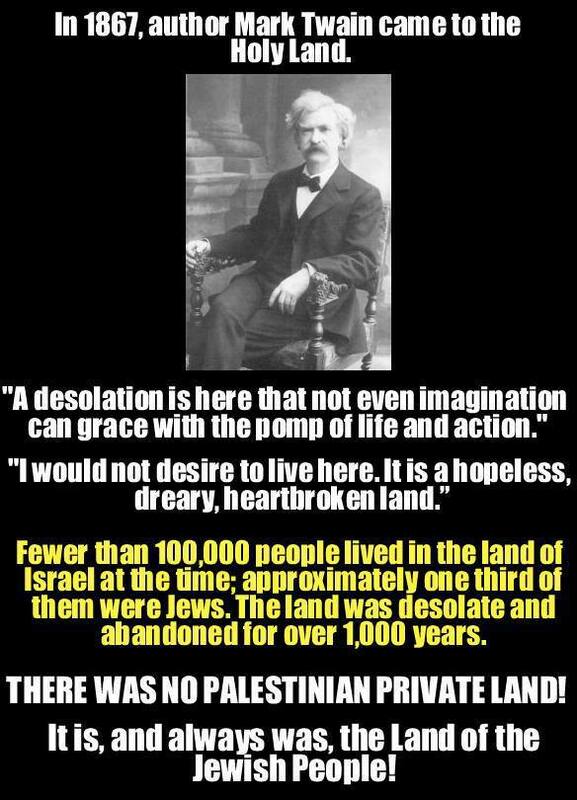 During the past 1900 years Israel became a nearly uninhabited, desolate wasteland and swamp with malaria! Israel, once a “desolate desert,” would return and blossom in the Last Days and export produce to the world (Isaiah 27:6; 35:1-2; Ezekiel 36:34-36). Israel’s world-renowned irrigation technology has caused the land to blossom. Incredibly, as foretold, Israel currently exports over 800 million US dollars’ worth of fresh produce, flowers and ornamental plants each year! Israel would prosper economically (Ezekiel 38:12-13). Amazingly, this recently regathered, often attacked, tiny nation exported 1522.80 billion US $ dollars’ worth of goods as at 17th September, 2018. This was inconceivable a century ago! The Last Days Jews would plant forests of trees. The Bible even specifies the variety of trees, cedar, acacia, myrtle, oil, cypress, pine, and box (Isaiah 41:18-20). Since 1900 more than one billion trees have been planted in Israel! This has happened in our day after Israel lay barren for nearly 2,000 years! A pure language (Hebrew) would be restored (Zephaniah 3:9). At the end of the 19th century the Zionist movement brought about the revival of Hebrew as a spoken language. 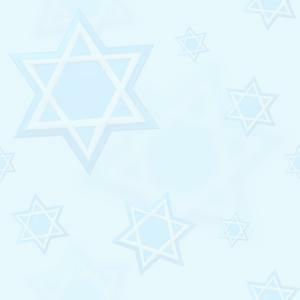 In 1948, Hebrew became an official tongue of the state of Israel. Originally there was only one language (Genesis 11:1) and this pure speech will be restored (Isaiah 19:18). Interestingly, Hebrew has no swear words! Jerusalem would be re-built on its own ruins (Jeremiah 30:18; Zechariah 12:6). Since 1948, Jerusalem has been re-built on the old ruins exactly as foretold. Jerusalem would be trampled by Gentiles until the times of the Gentiles are fulfilled (Luke 21:24). Since 70AD Jerusalem had been trampled by Gentiles until the Jews regained control of the City during the 1967 Six-Day War. Anti-Semitism was anticipated … the Bible warned that hatred would arise against the Jewish people… (Deuteronomy 28:37; Jeremiah 29:18, 44:8; Luke 21:20-24; Revelation 12). History confirms that the Jews have been persecuted as NO other people group. Hitler tried to exterminate them and the Antichrist WILL attempt the same during the Tribulation. Today, anti-Semitism is a global epidemic! The Bible warns us that ALL surrounding nations would be united against Israel (Psalm 83:4-8; Zechariah 12:2). This has NEVER happened in history. Yet today, Israel is surrounded by Muslim nations sworn to her destruction. Jerusalem is a small city, with NO natural resources, NO port, insignificant manufacturing and industrial capability and yet its very existence causes the surrounding nations to shudder! Almost daily the bias, corrupt world news networks report on the conflict over Jerusalem. The United Nations, the Vatican, and many world leaders want to make it an International city. However, God says that the City is His and He has given it to the Jews forever! (Genesis 15:18; Leviticus 25:23; 2 Chronicles 6:6). God promised that Israel would be invincible (Zechariah 12:6-9). Since 1948, tiny Israel has been attacked in three major wars and several lesser wars. Yet despite being vastly outnumbered, they have defeated all attacking foes. Even during the final battle, when it looks like Israel will be destroyed, the Lord shall deliver her too (Jeremiah 30:3-7; Zechariah 14; Mark 13:14-20). An invincible Israel makes no sense unless you believe God’s Word! Israel would be partitioned by ALL nations? (Joel 3:2; Daniel 11:39 Yes here we read yet another unimaginable prophecy! In 1947, UN Resolution 181 planned the partitioning of Israel. Currently, the West Bank and Gaza have been separated into Jewish and Palestinian settlements. Dividing Jerusalem, Judea, and Samaria are also being negotiated today in order to create a Palestinian statehood. What about this prophecy that the Eastern Gate in Jerusalem would remain closed until the Messiah returns? At Christ’s Second Coming, He will enter Jerusalem through the now sealed Eastern Gate (Ezekiel 44:1-3). Today, as prophesied, the Eastern Gate remains sealed! The nation of Israel, which had been divided into two kingdoms since the time of Solomon (950B.C.) Israel in the north and Judah in the south would be one united nation in the Last Days (Ezekiel 37:15-22).. And so it is, Israel is one nation! The returning Jews would have NO king until Yeshua (Jesus) returns (Hosea 3:4-5). As foretold, Israel has been WITHOUT a king for over 2500 years. Amazingly, not only is Israel no longer a theocracy, but today the Jewish state is governed by a democracy comprised of multiple political parties. Isn’t that just so amazing to see how accurate God’s Word is? Did you know that if a war is expected to begin in a host country where there is a representative then the “Ambassador” would be called home immediately? Why? It’s for their protection and safety! It’s the same way for God’s children - we are “Christ’s Ambassadors” (2 Corinthians 5:20) as though God were making His appeal through us. We are in this world but NOT of this world (John 17:16). True believers can take comfort that as “Christ’s Ambassadors” we will be called home in the “RAPTURE” before the war of Antichrist - called “Armageddon,” during the Great Tribulation! Yes, we will be pulled out from earth “in a twinkling of an eye!” (1 Corinthians 15:52). Maranatha Yeshua (Jesus)!